Elon Musk says he's sending humans around the Moon next year. On Monday, SpaceX revealed plans to fly two private citizens around the Moon by late 2018, 45 years after NASA’s astronauts last embarked on a lunar mission. Here’s a quick rundown of what you need to know about it. It’s a private endeavor. The two passengers actually approached SpaceX and have already paid a significant deposit for the first private space tickets to ever be sold. The passengers will be trained and prepared for this mission, of course. “We expect to conduct health and fitness tests, as well as begin initial training later this year. Other flight teams have also expressed strong interest and we expect more to follow,” SpaceX said in a statement. Though a private mission, it has NASA’s approval. “NASA commends its industry partners for reaching higher. We will work closely with SpaceX to ensure it safely meets the contractual obligations to return the launch of astronauts to U.S. soil and continue to successfully deliver supplies to the International Space Station,” NASA said in a statement released after Monday’s announcement. SpaceX will use its Crew Dragon spacecraft for this mission. It will be launched via a Falcon Heavy rocket, which is still currently in development but will blast off for a test flight this summer. A Dragon aboard a Falcon Heavy is set for a crew-less maiden voyage to the International Space Station (ISS) by the end of this year as part of a program with NASA. SpaceX’s first crewed flight is slated for the spring of 2018, and the Moon mission will be just the second time the rocket venture company launches people into space. It’s not a landing mission, really. It’s more like a cruise during which the Crew Dragon spacecraft will loop around the Moon. The journey will probably take around six to seven days: two to three days going to the Moon and another two to three coming back. Extra supplies of propellants, oxygen, water, etc., will be on board to sustain the passengers. The biggest hurdle is the launch. SpaceX has had some troubles with those in the past, and this time, people will be on board. The company has been taking extra precautions to ensure the safety of its launches, and it hasn’t experienced any mishaps since its Falcon 9 rocket explosion in September. Reentering the atmosphere is another challenge. Though designed for a touchdown, SpaceX has said previously that its Dragon spacecrafts can safely land anywhere, even on water. The success of SpaceX’s private lunar mission is in everyone’s best interests, of course. “Designed from the beginning to carry humans, the Dragon spacecraft already has a long flight heritage. These missions will build upon that heritage, extending it to deep space mission operations, an important milestone as we work towards our ultimate goal of transporting humans to Mars,” SpaceX said. 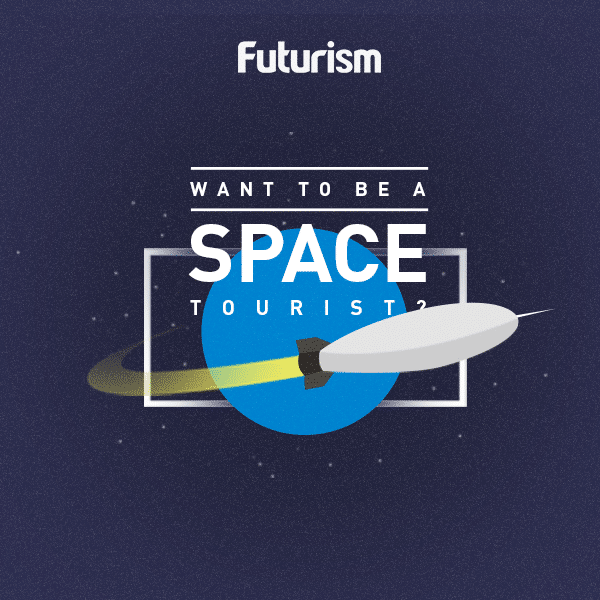 This mission has the potential to usher in an era of deep space tourism — as long as you have the money to pay SpaceX for the tickets, of course.